The Western Heritage Center is a regional museum whose collections, exhibits and programs tell the stories of life in the Yellowstone River Valley. 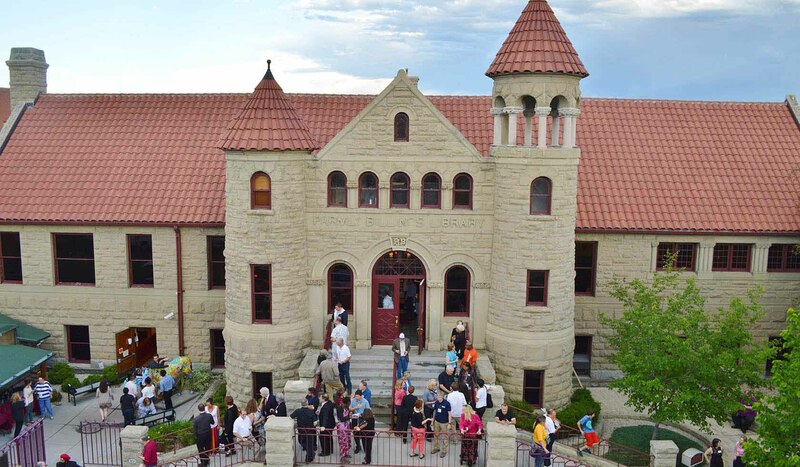 Located in historic downtown Billings, the building that houses the Western Heritage Center is the former Parmly Billings Memorial Library, a Richardsonian Romanesque structure listed on the National Register of Historic Places. Accredited by the American Association of Museums, the Western Heritage Center provides both long term and changing exhibits with interactive components, as well as educational programs for visitors of all ages. The museum cares for over 16,000 artifacts and an extensive collection that illustrates and documents the history of the Yellowstone River Valley. Guided tours are available for groups with reservations. The Western Heritage Center is located in downtown Billings on the corner of 29th Street and Montana Avenue.The Western Heritage Center is located in downtown Billings on the corner of 29th Street and Montana Avenue.